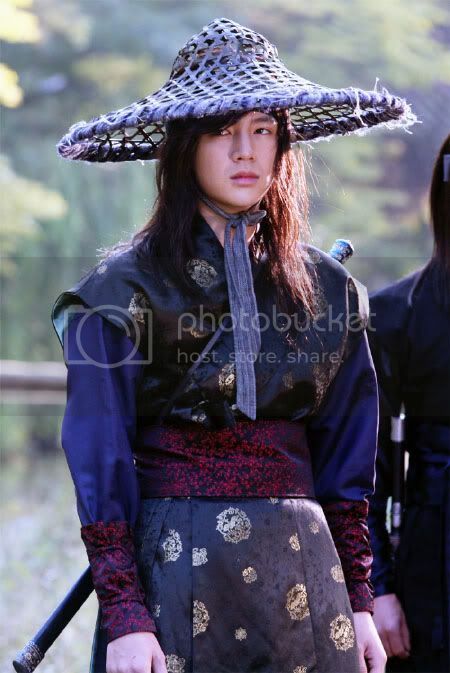 Y'know, the saddest thing about my recent computer data loss, is that I've just began to blog about Jang Keun Suk....thinking he's a great actor with a greater potential, I wanted to do justice. But now, I've got to build up my portfolio on him once more....crawling from the bottom. Or, I should say wriggling from the bottom...as now I'm an eel ! 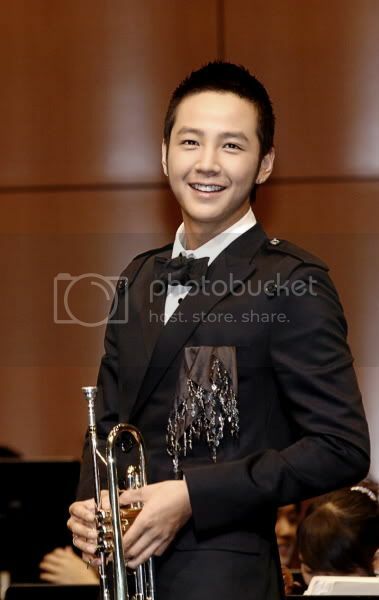 received Best Couple Award in the 2006 KBS Performance Awards. 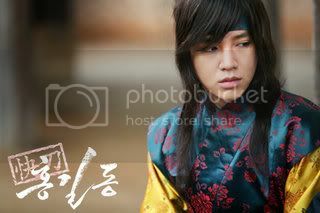 He he, wanna see what happened to Keun Suk behind this scene? 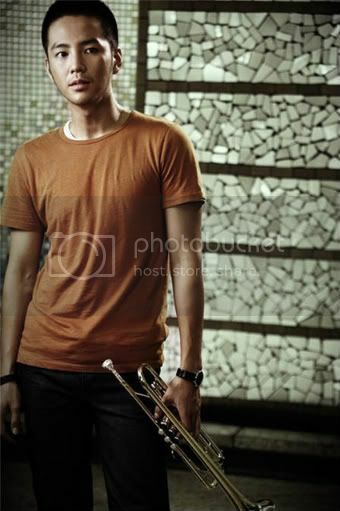 A young police officer.....playing the trumpet. at the 2008 MBC Drama Awards for his role in BV. Glad I know him now...I suppose it's never too late. Me missing many works of his ! Didn't know it, but I guess I've seen him in Hwang Jini....hubby bought the series, and I watched a few episodes .....I didn't notice him there though. The trouble with me is that I'm NOT a K-drama addict.....someone has to recommend one to me...and if it's too sad or depressing I might just skip it altogether......except if I like the actor .....rainy or shinny, I'll watch it. So, these few weeks sees me hunting Keun Suk's dramas all over the place [ I feel nostalgic....remembering when I went hunting for BYJ's ] . Managed to watch Beethoven Virus and the movie Baby and Me. Ooo....he's so gentle and loving with that baby. Keun Suk with Mason.....both cute ! Hope you were not expecting a brilliant review of JKS's works from me....nope...there's only my words of appreciation for his consistency in acting, he is consistently producing high quality work and has been working professionally since he was young. Put him in rags and he'll still manage to act a Prince. Okay, me will let you go on now, back to blogging and already talking people 's ears off ^^. Cu in another Keun Suk discussion....as he is soooo interesting. Me looking forward to seeing his other works. 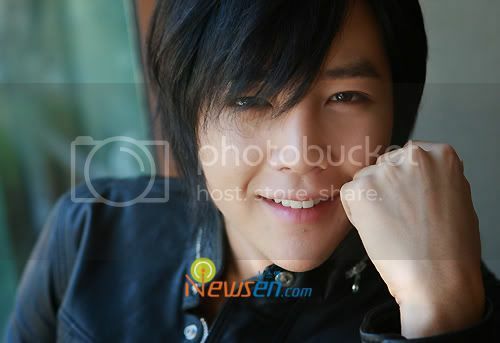 Oh yes, Good luck to Sukkie on his next Drama [with Moon Go Young] ! !